Begin by washing and draining all beans. Mix the 3 types of beans with green pepper, roasted red peppers, onion and celery in a medium bowl. In a separate bowl whisk together sugar, vinegar, olive oil, salt and pepper. Once combined pour the dressing over the veggie mixture. Place the finished salad in the refrigerator to sit for 12 hours. Serve cold and enjoy! 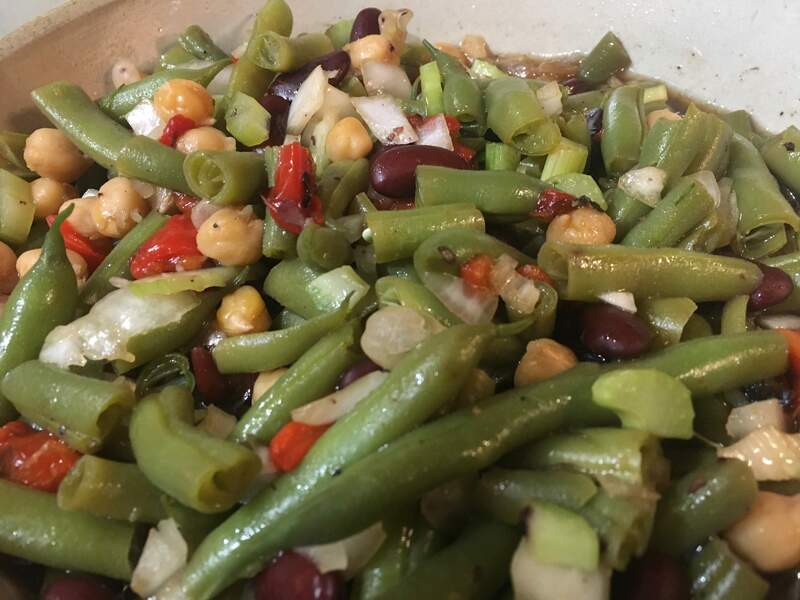 Calico Green Bean Salad brings back memories of family holiday dinners to Jan who found the recipe in her mother’s cookbook. She intends to continue the tradition by passing the classic recipe down to her daughter Colleen.